This list has, sadly, not been updated recently. However, please feel free to oogle and oxytocin all over the sweet babies below! Thea Caroline was born June 14th, 2015, weighing 8lbs 15oz. and birth. This couple practiced the Bradley Method perfectly. Handsome Niles was born June 13th, 2015. At 20 inches long, he was an inch longer than his big sister Mila. However, he arrived, swiftly, after a storm, weighing 7lbs 3oz., just as she did. Nora Claire, born April 28th 2015 at 4:03pm. 7 lbs, 12 oz, and 20 inches long. Almost born at home, somehow, Dad managed to drive everyone to the hospital safely, for a quick and empowering VBAC birth by her fierce mama! Little Aaron (Aaron Junior) was brought earthside on April 4th, 2015, weighing 6lbs 8oz, 20 inches long by a wonderful team of parents who worked together, beautifully. TWINS! Gorgeous boys, Elliott Joseph was born at 19 inches long, weighing 6lbs 7 oz and Oliver James was 20 inches at 6lbs 4 oz on March 19th 2015. These Rainbow Babies were welcomed, wholeheartedly by their Mom, Dad and 2 beautiful big sisters. My Valentine this year was little Joseph! He was born on February 14th 2015 at 9:36pm, weighing 6lbs 12.6oz and measuring 21 3/4 inches long! His Mom and Dad were a wonderful, Hypnobirthing team! Emily Ann arrived quickly at 3:28pm, weighing 7 lbs 6 oz.. She was 19 inches long, born on 1/7/15 to a wonderful Mom and Dad. She looks just as sweet as her big brother, John. Baby Jackson Leung was born November 18th 2014 at 8:34pm, weighing 6lbs 5oz and 19 inches long. His Hypnobirthing parents were absolutely peaceful and amazing. Sweet Miss Evelyn was born October 27th, 2014, weighing 9lbs 5oz and measuring 20.5 inches to a beautifully strong and loving family. 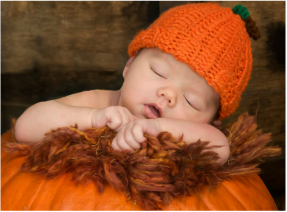 This little pumpkin, Landon, was born October 16th, 2014 to a supportive Father and Mother who was incredibly in-tune with her body. He weighed 8lbs 9oz at 22 inches long. Lennon Grace Lynn Houser was born August 15, 2014 at 9:27pm to a powerful Momma. This sweet, chubby baby was 9lbs 12 oz, 21 1/2 inches long, with a head full of beautiful hair. 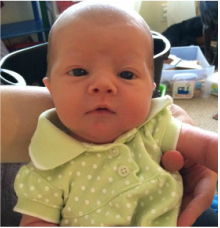 Sweet little Amalia Jean was born July 8th, 2014, weighing 6lbs 8 oz and 19 1/2" long! Her Mom and Dad were wonderfully educated and empowered before and during her birth. Look at that hair! Welcome little miss Norah June. This little fire cracker was born on July 4th, 2014 at 9:56am to a Mother who blossomed- mentally and spiritually, by leaps and bounds during her pregnancy. Norah was 9lbs 1 1/2 oz 21 inches. Meet Graysen Michael. Born 6:55pm on May 22, 2014 to an amazingly strong Mama, he weighed in at 7 lb, 6 oz..
Sawyer Grey was born on May 19, 2014 at 6:59am! This very handsome guy was 7lbs, 10oz at birth to a powerful Mama and hard working Daddy. Introducing Carter Roman, born September 20th, 2013 to an amazingly strong, VBAC Mama. This dimpled delight was 8lbs 4.5oz and 20 inches long. 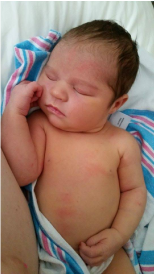 Beautiful baby Mila S., was born September 12th, 2013, weighing 7lbs, 3oz and 19 inches long. She and her Mama had an amazingly beautiful and peaceful, natural birth. Welcome sweet baby Charlie Andrew W! Born a little earlier than we hoped, but waiting longer than we expected, this babe was born at 36w1d, weighing 6lb 2oz and 19 inches long on August 10th, 2013. 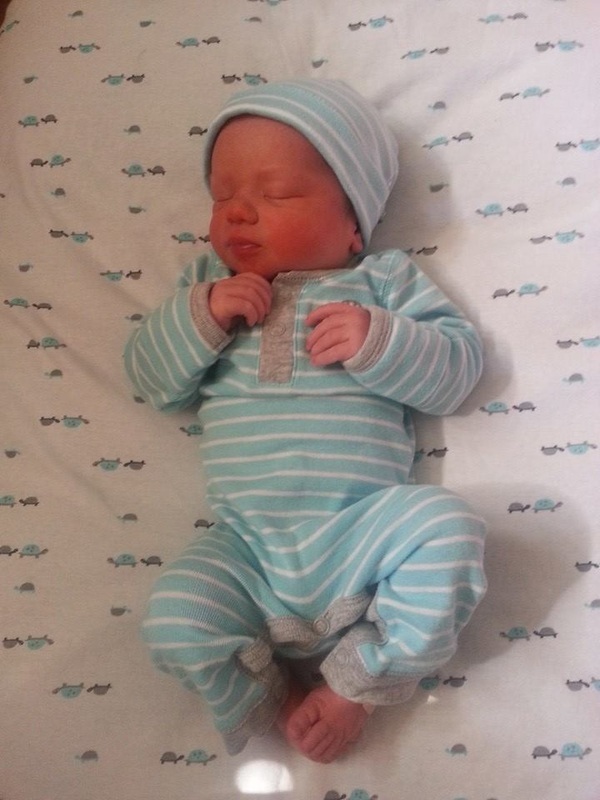 Welcome earthside, Baby Ben M.! Born at home on March 22, 2013 to an amazing Mama. This peaceful guy was 7lbs 14oz and 21 inches long. Happy birthday to A.O! Sweet baby girl was born 6lb 15oz and 19.5 inches at 11:32pm. Your mama worked so very hard to see your beautiful face. Welcome Amelia H. born naturally at 7:39pm, on 6/3/12, this beautiful babe was 19.5 inches and 8lbs. Welcome Baby Max. Born, on 4/24/12 with a full head of wavy dark hair. His arrival was long awaited, and truly something. Welcome Zander Satoru M. born completely natural at 8:20am on 3/9/12. Weighing 7lb. 7oz., this handsome guy was 19 in. long. Welcome JJ (Jason Jr.) B. 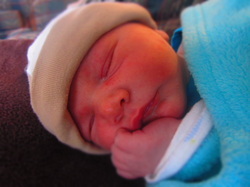 Born 11/23/11 at 3:44pm weighing just 5lbs, 13oz., he was 21 inches long.